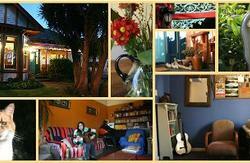 Dorset House is a perfectly located boutique backpackers hostel in a historic 1871 home. 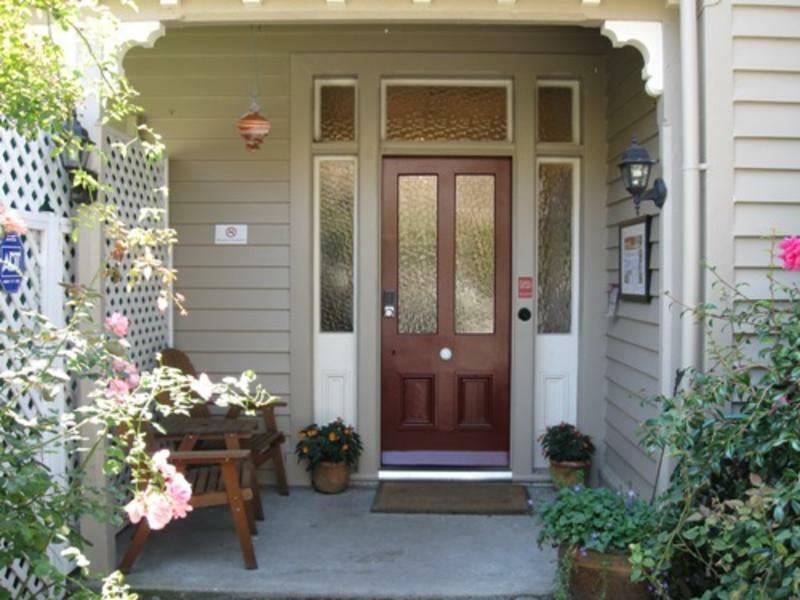 It is situated in a lovely quiet garden setting and is right next to leafy Hagley Park. Built in 1871 as home for a wealthy timber merchant, Dorset House has a fascinating history. 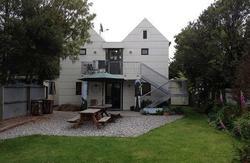 It blends character charm with modern facilities, and offers quality budget accommodation in Christchurch. Fully renovated in 2012. There is plenty of light and space, no bunk beds, and every bed is fully made. There is a full kitchen available, guest laundry facilities, and a large guest lounge room (previously the house's ballroom). Free car-parking is available. Dorset House offers 100mb FREE WiFi internet per person per night if you have your own laptop (just ask reception for an access code). If youd like to use our computers, there is printing, SKYPE, USB ports and CD burning available. You will find everything you need for a comfortable stay, including the assistance of our helpful staff. Minx the cat will be asleep on her chair too. We endeavour to make your stay easy for you. Dorset House offers 24-hour late check-in available on request (please contact us for the door code). Christchurch is recovering and there's still plenty to do in the Garden City. We'd love to have you stay at Dorset House. General Location: Dorset Street is located between Park Avenue and Victoria St. 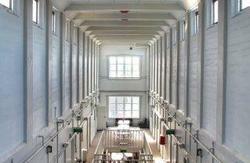 It is directly next to Hagley Park, and is one block below Bealey Avenue. This is the northern end of the central city, within ten minutes walk of the Canterbury Museum, Botanic Gardens and Cashel St shopping precinct. For evening dining theres plenty of restaurants and pubs in the Merivale area, a 20 minute walk or 5 minutes by bus. Or enjoy the shops, restaurants and cafes on quirky Victoria St just a few metres from our front door. It's easy to get around too the airport bus is a 2 minute walk from Dorset House, or walk 7 minutes for local and national bus services. To reach us from the airport: Catch the City Flyer bus between 6.35am and 12.55am, weekdays. Weekend hours: Saturday, 8.10am - 12.55am. Sunday, 8.40am - 12.55am. The cost of this bus service is $8 per adult, and services run approximately every half hour. Ask the driver to let you off at the corner of Park Terrace and Peterborough Sts. Walk back the way you have come, 3 blocks to Dorset St (5 minutes walk). Outside the City Flyer hours, you may choose to catch a direct shuttle from the shuttle/taxi zone at the airport. This will cost approximately $24 per person, and will drop you to our door. Please contact us at least 48 hours in advance if you would like us to book a pre-arranged shuttle pick-up for you. Shuttle transfers can also be booked to take you to the airport for outbound flights. Taxi - the cost of a taxi from the airport to Dorset House will be approximately $40 - 45. From the train station: Catch a shuttle service ($12), or taxi ($12-17) from the train station.